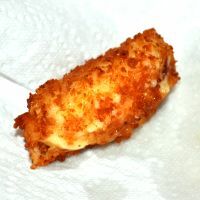 Croquetas (croquettes) are extremely popular in Spain. Their beauty lies in the béchamel sauce which is the base of the recipe. To make the filling, place the butter and flour in a saucepan. Add the cold milk to the butter and flour mixture, whisking continuously, over medium heat for 5 minutes or until very thick and the floury taste has almost disappeared. Remove from the heat and stir in the chilli and the grated cheese before seasoning with the salt and pepper. 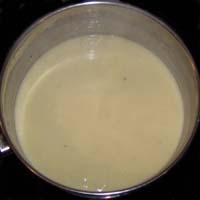 Further details on How to make a Bechamel Sauce. 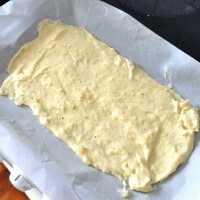 Line an oven tray with baking paper, then spread the cheese mixture thinly over the paper. Refrigerate for at least 30 minutes or until chilled. Place the breadcrumbs on a plate. Next, using your hands or a couple of spoons, gently take about a heaped tablespoon of the mixture and roll it into an oval shape. 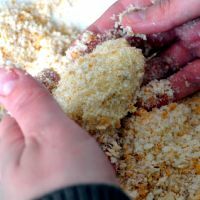 Roll the newly formed croquette in the breadcrumbs to coat it completely before setting it aside to repeat the process with the remaining mixture. 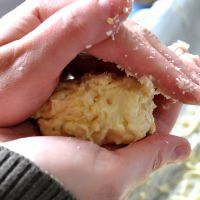 Note, give the croquette a gentle squeeze to ensure the breadcrumbs are firmly attached. If you don’t do this they can come off when you try to fry them. 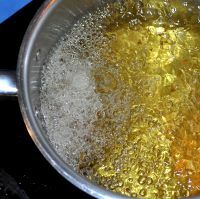 If you have a deep fryer, set it to 180 degrees Celsius, otherwise, fill a saucepan 5 cm deep with oil and heat over medium heat until it reaches this temperature. Fry the croquettes until they are golden brown, this usually takes only 20 to 30 seconds. Note: don’t try to cook too many at once if using a pan as cooking several at the same time will cause the oil temperature to drop making the croquettes to come out oily. Remove the croquettes from the oil with a slotted spoon and drain on a paper towel. Season with salt and serve immediately while still warm with lemon wedges. 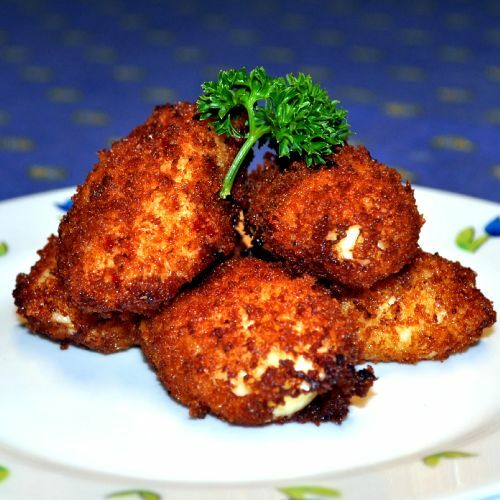 The Cheese Croquettes are also extremely versatile. You can, if you like add some other flavours such as prawns or even ham. Depending on your mood, the possibilities are endless.